FC Barcelona will implement a new intelligent ticket sales model, based on the predictive calculation of Seient Lliure release, for the last six games of the League season, starting with the game against Rayo Vallecano (9-10 March). This new model will make it possible to plan purchases further in advance, guarantee seats in all areas of the stadium and with greater availability of seats in pairs. Likewise, it will contribute to an increase of spectators at Camp Nou, will allow a greater economic performance for the Club and will offer more security guarantees in the fight against fraud. This new intelligent sales model, the result of the work developed by different departments of the Club, defines the number of seats offered for sale through a predictive model, match by match, based on the experience of the Seient Lliure system over the last five years, as well as factors such as the rival, the schedule and the weather conditions. 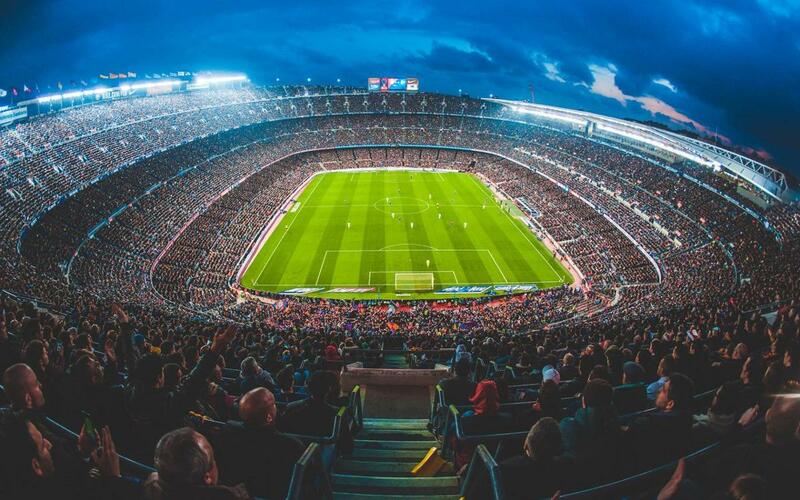 Currently 37% of the seats for matches at Camp Nou are released in the last 72 hours before the game. This implies that since there are almost no releases to members, when the ticket sales process for a match begins there is practically no availability of seats. It's also very difficult to get seats in pairs (up to a maximum of 6 seats), which makes selling problematic. The new sales system will allow access to purchase tickets without having to wait for the release of the Seient Lliure, and especially not until the last 72 before the game. Therefore the Club will have more time to manage tickets and thus avoid having to close the sale during that process due to lack of availability of seats - which has happened in some games during the season penalising those who wanted to plan their visit to the Camp Nou in advance. However, it's very important that the members advance their decision to come to the Stadium or not, and release their seat as early as possible to facilitate the allocation and grouping of seats that the system will make to the buyers 48 hours before the game. The purchase of seats will now be made by selecting the area of ​​the Stadium, and despite not being able to choose the exact seat at the time of acquisition, the system always guarantees the final availability of tickets in the selected areas. The Club will confirm the seat purchased at least 48 hours before the match. Members will continue to enjoy discounts on the purchase of tickets, and non-members will also continue to enjoy an exclusive pre-sale day and a 50% discount on the price of tickets for most games at the Stadium, excluding those of special importance such as El Clásico or the knockout stages of the Champions League. This new system of ticket sales will contribute to improving attendance at the Camp Nou, progressively increase revenues from the sale of tickets and also favour the fight against fraud, by preventing tickets from entering circulation until 48 hours before the game. In addition, it will also help members and fans, especially those who buy tickets from abroad, as they won't have to purchase via unofficial or resale channels. This will reinforce the security and confidence given by the different official channels of the Club regarding the secondary market, increasing the legitimacy and giving a more effective protection to the buyer, as long as they make good use of the purchasing process. The possibility of having more tickets in advance will see the development of a new commercial strategy. This will allow selling to new markets that until now were very difficult to reach, and to be able to satisfy a demand that requires an anticipation in the purchase, for example in the case of tourists who plan to visit the city on certain dates. This model of ticket sales will be applied in the six league matches that will be played at Camp Nou starting with the game against Rayo Vallecano (matchday 26). Beginning next season, the new model will be implemented in all league matches (except against Real Madrid) and in the three group stage matches of the Champions League.